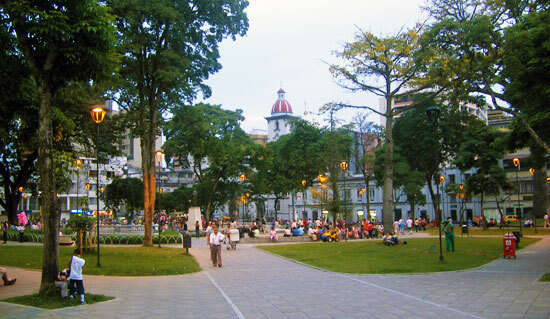 Ibague is another of central Colombia's medium-sized cities. It's altitutde, climate and general feel are similar to those of the coffee region's three main cities, Manizales, Pereira and Armenia and indeed it is relatively close geographically. However, despite these shared characteristics, the city is closer, at least in terms of culture, to Bogota. The people of the department of Tolima speak with a rising intonation similar to that of Bogota which is a long way removed from the distinctive paisa dialect of the coffee region and Antioquia. On the surface there doesn't appear to be much of interest in the city, but with a little local knowledge there is actually enough to do here to keep you interested for at least a couple of days. One of Ibague's principal claims to fame is as the country's music capital. 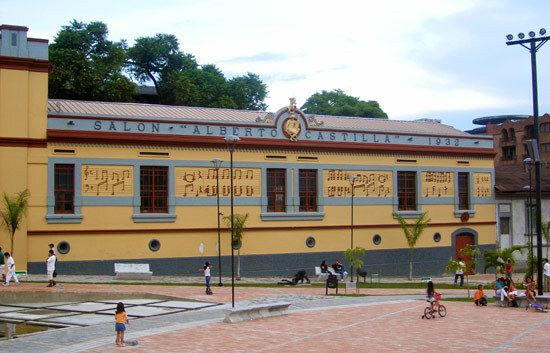 The Conservatorio del Tolima (photo, below)is arguably Colombia's most important music school. It was founded in 1906 and was first director by maestro Alberto Castilla, whose name the exterior of building now bears. The Parque de la Música, next to the Conservatorio del Tolima and a block away from Plaza de Bolivar, is a delightful square featuring musical statues, fountains and a great view to the valley below and the mountains of the Western Cordillera. The city holds various music related events throughout the year. 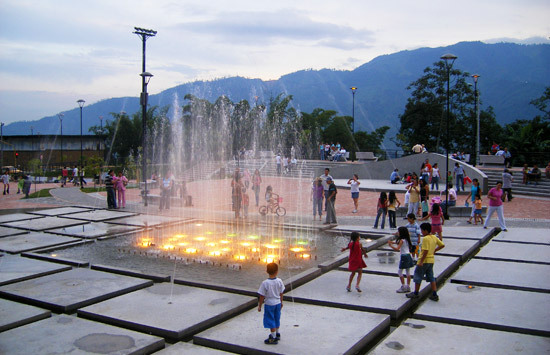 The Plaza de Bolivar, remodelled in 2006, forms the centre of the city's comercial district and is attractively decorated with trees and fountains. Leading down from the plaza is carrera 5, a long pedestrianised street flanked by shops, bars and fast food restaurants. This large botanical garden is located on the north-western slopes of the outskirts of the city. Its 60 hectares are comprised primarily of Andean woodland, with the remaining area dedicated to plant and flower collections. Due to its large size the botanical garden also contains a number of reasonable-length nature walks. In fact, combined, the trails total some 7km. Just 20 minutes or so from the city centre is a wonderful natural park. The park's area encompasses a large area of mountainous terrain including the Cerro de la Martinica after which the park is named. Within the park there are six observation platforms from where you have a spectacular panorama of Ibague. The park is also of interest for those looking for extreme sports without venturing too far from the city. Rappelling is practiced at the Los Monos waterfall. Guides can be arranged by calling (8)2610854. It is also possible to camp within the park. The park ranges in altitude from 1230m to 1550m and has an average temperature of 22C, but it can get quite cool at night. 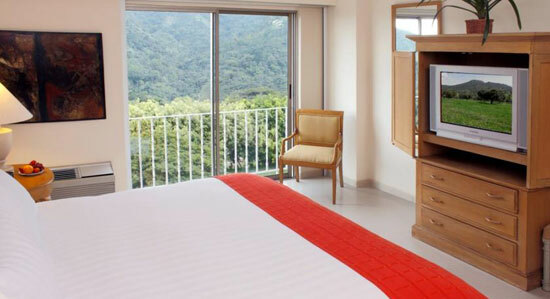 Easily the best hotel in the city is Hotel Estelar Altamira. This luxury hotel is situated on the dge of the city with great views over the river and forests to the south. The hotel's facilities include tennis courts, a gym and a large outdoor swimming pool as well as a delicious restaurant. The Tolima region is well known for lechona and tamales (the former a roast pig stuffed with pork, rice and various vegetables, the latter a mix of vegetables, chicken and pork, all held together by corn dough and wrapped in a plantain leaf). Both of these dishes actually originate from Ibague and the department of Tolima, but they are now also commonplace in nearby Bogota.